Getting your own car is a financial commitment. Unless you have $40,000 to $50,000 that you can shell out as a one-time payment, you’ll have to find a way to pay for your car. To help you figure out which type of financing will best suit your budget and needs, you’ll have to determine the costs of owning and running a car. A car lease can help get you a car for everyday use, but it won’t cover the other expenses that come with owning a car of your own. Over time, your car’s value will go depreciate. When you trade in your car after several years, expect a lower rate because of it. The difference between the list price of the vehicle and the trade-in value after five years and 75,000 kilometres is the depreciation rate or cost. This is the most significant expense and can amount to 40% to 50% of the total running costs. When you get a car loan, you must set aside money for the deposit and monthly payments. The usual time it’ll take for you to finish paying off a car loan is at least five years. Before you sign the loan contract, make sure you’ve read the fine print and that your source of income and lifestyle can handle the monthly payments. The deposit and monthly payment rates will depend on who your insurer is, vehicle type, and your credit rating. If you have a poor credit score, don’t lose hope. There are plenty of financing companies that cater to those with bad ratings. You’ll also need to pay for the registration fee and insurance. The exact registration fee depends on several factors such as the state you live in, the type of car you have, vehicle specs, and the time frame of the registration. As for the insurance, the compulsory third party insurance is a government-mandated coverage, so you’ll need to include this when calculating the running costs. If you’re a young, inexperienced driver or have bad driving records, expect higher insurance rates. 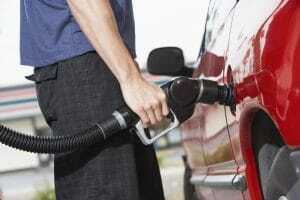 Fuel consumption depends on the mileage you consume per week and the type of fuel you’re using. Tyre replacements, periodic repairs, and emergency service repairs are also included when computing these costs. Labour charges for service repairs depend on where you live and the scope of damage. 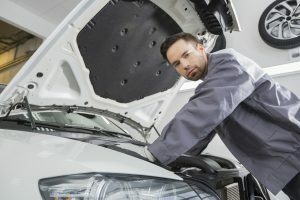 The frequency of repairs depends on how often you use your car. The more you use your ride on rough driving conditions, the more maintenance it’ll need. With so many things to consider when computing the total cost of a car, it’s essential to prepare yourself financially. Once you sign a car loan agreement, you’re legally bound to pay off the loan. Be aware of the various costs and expenses associated with getting a car, and make sure you have enough savings and a stable source of income. By preparing yourself financially, paying off that car loan won’t seem like such a heavy burden.